The world is full of knowledge, and to the classical mind, all knowledge is interrelated. Trying to find the links between fields of study can be a mind-twisting task. A Classical Education meets this challenge by using history as its organizing outline – beginning with the Ancients (6000 BC to AD 500), up to the Middle Ages (500-1600), continuing onto the Early Modern period (1600-1850), and progressing forward to Modern Times (1850-Present Day) in history, science, literature, art, and music. Accordingly, subject areas of our Classical Education program are linked to history studies and taught around the time period under study in history bringing a more meaningful and connected curriculum to the minds of our scholars. Kindergarten - 2nd grade scholars build a firm foundation in phonemic awareness, and will use Journeys, Houghton Mifflin Harcourt. Explicit instruction of foundational skills ensures mastery of basic reading and decoding skills. Grades 2-8 will use living books, or whole books, appropriate to the grade level that are rich selections of literature. These selections are used for reading skill development, comprehension, vocabulary development, and to instill the love of learning in scholars as they are exposed to the best of literature. We believe in order for our scholars to become the best writers and fluent readers, they need to be exposed to the best from our Western heritage and timeless classics. In Grades K-8, rich literature is read aloud and connected to the history unit of study. Exemplar texts provided throughout each level offer rich, high-quality literature and give scholars the opportunity for close reading and analysis using full-length trade books. Scholars actively learn spelling skills & concepts for long-term learning and application to many more words. Formative assessment will guide instruction and identify words scholars have not yet mastered. Accountability of spelling skills through proofreading everyday writing, with a “no excuses” outlook for misspelling assigned words. A set core curriculum with opportunities to adapt instruction through teacher choice and optional extension activities. Dictated sentences teach scholars to use spelling words in sentences and not in isolation. D’Nealian Handwriting is introduced in kindergarten and developed throughout grades 1-6. Cursive writing is introduced in grade 2. Attentiveness to detail, correct formation and overall neatness is emphasized at each grade level. A main reason Shurley English was chosen was its use of chants and jingles in aiding scholars in memorizing. This is in line with our philosophy on the ability of young children to memorize basic facts and fundamental rules, and to absorb information and knowledge more easily at a younger age. Research has shown one of the essential features of Shurley English, the ongoing use of feedback through formative assessments providing scholars with information about how well they are doing on a regular basis, has shown to tremendously increase scholar learning and therefore achievement. English definitions and parts of speech are taught by utilizing engaging jingles to foster memorization of the content. No matter how well scholars initially learn a concept, if they are not able to retain their learning, connect it to other concepts and apply it in problem solving situations, they have not reached mastery. Saxon Math is designed to support the long-term mastery and applications that will make a difference during testing, future education and careers. Saxon Math is taught at an accelerated level. Kindergarten, for example, will begin with Saxon Math 1. Accelerated one grade level ahead. Emphasis on memorizing math facts. Saxon Math’s incremental, distributed pedagogy builds upon mathematical concepts throughout the year, articulating them over time. This allows scholars to gain deep understanding and long-term mastery of the Common Core State Standards. It is our contention that history should be the core of the curriculum and therefore becomes the unifying “discipline of choice” due to our belief that all aspects of life fit under its broad sweep. Scholars read a “living” biography or two about a key person in the time period being studied. Whenever possible, primary sources such as diaries, journals, letters or speeches that the person wrote are used. Scholars research in reference books, but try to use living biographies as the main books. Scholars enter key people’s names and events into a Copybook, which is like a timeline in a book. History is taught in sequence in a historical timeline so learning is not fragmented for scholars and therefore makes sense. Scholars create Copybooks to reflect their unit of study, thus becoming masters of the subject area. The classroom is full of rich resources, biographies, maps, books and artifacts that reflect the unit of study, and are available for use by our scholars as they create their Copybooks. Effective instruction in science will be offered through hands-on experience and observation. Scholars are encouraged to ask questions about how their world works and seek answers, make observations and discuss findings, to be actively engaged in learning about science, technology, engineering and math as they learn to view the world through a scientific lens. Scholars will use the Paige Hudson series of science which instructs a full year of chemistry, biology, physical science and earth sciences. Each topic and year are aligned to the Grammar, Logic and Rhetoric stages of learning. The classroom also reflects the unit of study and the bookshelves are rich resources for the scholars to gather their research and collect their data to write their observations in their Copybooks. Science experiments are hands-on for scholar discovery and observation through the active process of investigation. Scholars in the grammar stage will learn basic language concepts to gain a familiarity and comfort with the Latin language. As scholars enter the logic stage they will begin to apply what they have learned into translating primary sources from history. Scholars in Kindergarten through grade 2 will participate through in-class instruction of Spanish. Kindergarten is the perfect time to introduce learning of Spanish, for at this age scholars are able to listen and understand, building a foundation enabling scholars to start speaking a second language. Scholars will learn common phrases, colors, numbers and greetings. Each month, beginning in Kindergarten, scholars will have a piece of prose or poetry, a patriotic piece, or other piece that is connected to the curriculum to memorize and recite in front of the class. Proper poise, posture, speech, volume and overall public speaking skills are emphasized. A Classical Education program with a Charlotte Mason influence has a strong curricular focus on the academic foundation of grammar, history, and mathematics. Our curriculum maps will be centered upon a limited number of essential learning outcomes for each content area, approximately 20 per area of content for the year, in order to create a guaranteed and viable curriculum. The teacher is instrumental bringing forth the curriculum maps, which are foundational to support scholar learning, by use of scope and sequence documents that connect to the essential learning outcomes through instructional planning that guides instruction and assessment. As scholars delve into the concepts and ideas being covered, the teacher will use pacing guides for the classroom to make instructional decisions that take into consideration differentiated instruction for the essential learning outcomes that may include enrichment and/or intervention activities dependent upon scholars’ ability levels, prior knowledge, previous learning experiences and learning style. Charlotte Mason (1842-1923) was an English educator who over the course of a long career established a teachers’ college and several schools, and authored a six-volume work on her philosophy of education for both the home and school. Miss Mason advocated a rich, comprehensive, connected curriculum for all scholars, not merely to “educate” them, but also to guide them in the development of character and cultivate in them a lifelong love of learning. Miss Mason planned each school day so that the more demanding academic subjects were placed in the morning; the afternoon would consist of physical education, creative work in art, music study and song, along with any other practical activities with possible participation in youth clubs or sports after school; evenings would be filled with homework along with reading, and purposeful “leisure” activities at home. 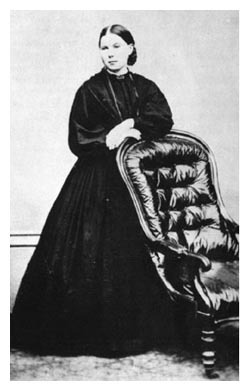 Charlotte Mason advocated teaching short lessons (10 to 20 minutes per subject for the younger children, with a longer time for older ones) with an emphasis on excellent execution and focused attention, whether that is in thinking through a challenging math problem, copying some words neatly, listening to a fellow scholar read a poem, or looking carefully at a painting and then describing it back to the teacher. Each child is always encouraged to do his/her best in everything.